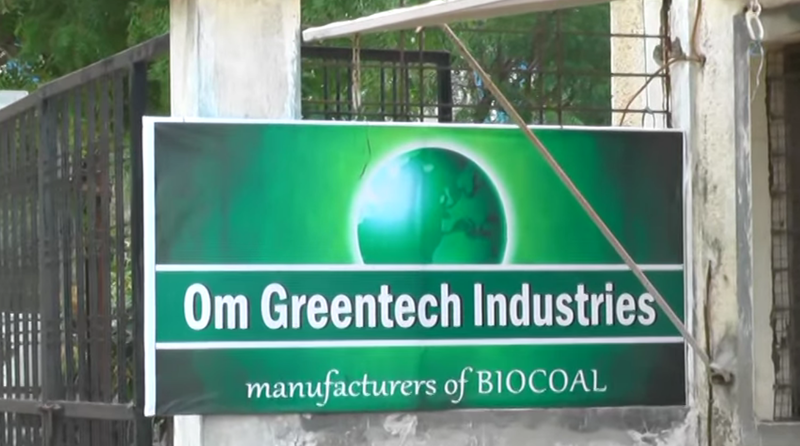 2011 : Om Greentech Industries started with manufacturing of briquettes. 2012 : Started production tie up with financially weaker units . 2014 : Achieved highest turnover of 15 CR approx. 2015 : Steam contract of leading pharma giant in India. 2016 : Bagged orders for Indonesian screened coal in Sizes 0-6 MM, 6-18 MM, 20-50 MM. Achieved Highest turnover of 25 CR. We are the suppliers of high qualtiy of biocoal / white coal. We have the capacity to supply 5000 tonnes per month of biocoal. We are reputed suppliers of biomass briquettes / biocoal / white coal / briquettes used in boilers. Infrastructure :- We have in house lab for testing of coal and briquettes. We have warehouse of 40,000 sq ft to stock fuel for smooth and quality supply in monsoons . Quality :- - We do get the material tested from 3rd party lab to ensure strict quality norms. Trade Memberships :- Import Export Council Registered And Crisil Rated. Our products are at par with the best in the industry that explains our strong presence in varied industrial segments like textile and pharmaceutical. Besides, our prestigious ISO 9001- 2008 certification is a clear indicator of our quality assured products. This has also helped us in enhancing our image as one of the Wood Pellet Manufacturers. We are among the reputed organizations, highly engaged in offering a premium grade Biomass Briquettes and coal combined with boiler operation and maintenance facility for smooth working. We ensure best economical solutions that ensure high quality of product and uninterrupted operations. Our quality of services justifies our brand. We stock a wide range of products concentrating on customer’s requirement convenience and value for money. Customer satisfaction and trust are our core integral values and our hard working staff and professionals leave no stone unturned in providing our clients the best and unique services.